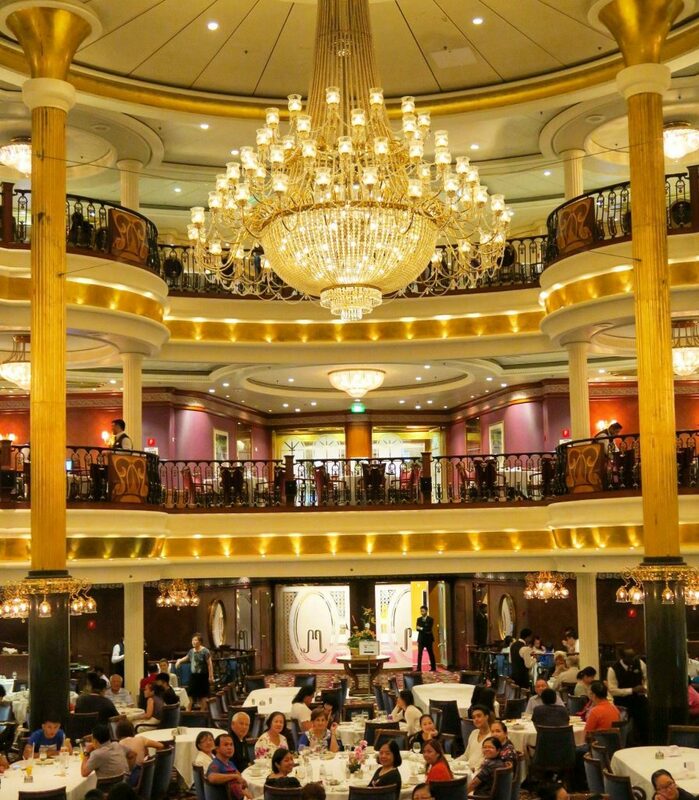 How to Survive a Family Reunion Cruise - Holy Smithereens! There are people who dread reunions. And then there are those who don’t like cruising. So I won’t blame you for hailing me as ‘courageous’ for attempting to accomplish two famously dreaded events in one go. Well, don’t call me brave yet. Because for one, I love cruising! And second, like many of you, I belong to a ‘global’ family. My family and relatives are scattered all over the world (The USA, Canada, Philippines, Australia, NZ, the Middle East, etc) so we really rarely get to see each other. 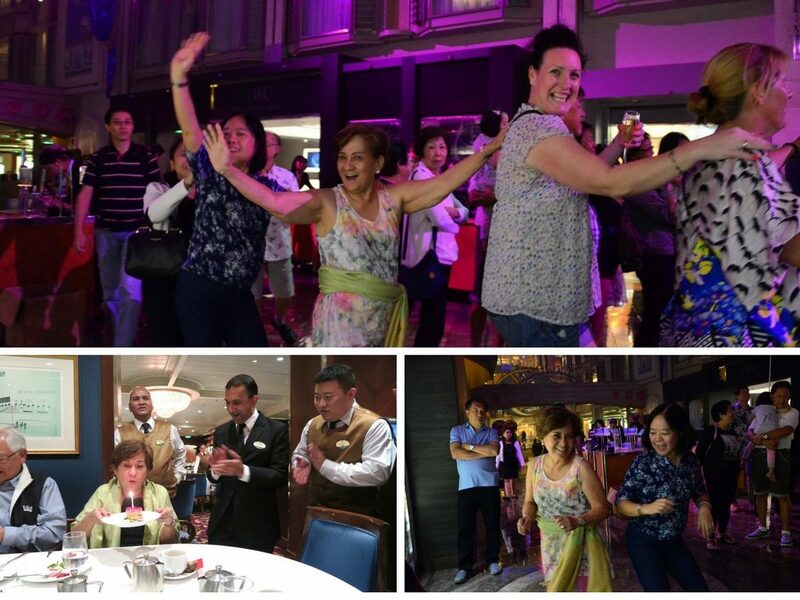 So when we got the rare chance to all get together for a double celebration event (my sister’s wedding and my mum’s grand 70th birthday), we all decided to fly to Singapore and get on a Royal Caribbean cruise. All 13 of us! This is the most number of people I’ve travelled with. I’d normally balk and run (my ideal travel number is TWO! Pushing it at four), but some rules can be bent for the love of travel and family. I don’t mind reunions. What I don’t like is that most reunions just revolve around eating. I always try to incorporate a different activity when I am with family. For a group as large as this, cruising was the no-brainer option. The itinerary is laid out for you, all you need to do is show up! 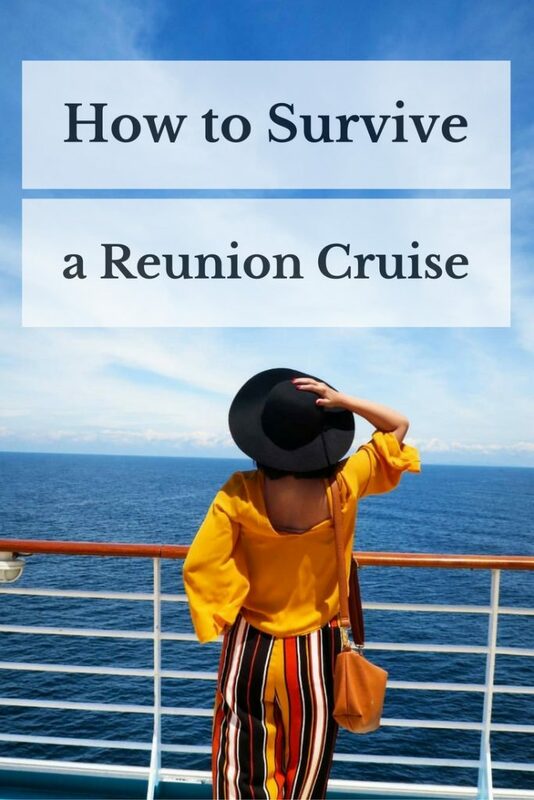 As you can see, I emerged alive (with lessons learned), so here are my tips on how you can survive– no, ENJOY a family reunion cruise. 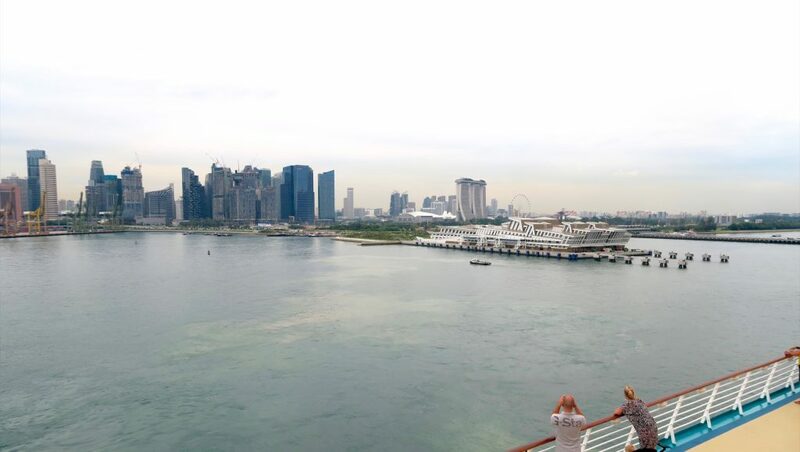 Our 5-day cruise departed from Singapore. We chose Singapore specifically because it’s a destination that’s relatively near and safe. For a huge group, you’d want a city that is easy to navigate, and more importantly, where language barrier and communication won’t be a problem. Some of us opted to stay behind in Singapore after the cruise and it was pretty easy to explore on your own without joining any tour groups. Shall we share a room?? Oh the things you learn! Knowing what I know now, I should have booked a separate cabin and given my newlywed sister and her new husband some privacy! The price difference is not that much, but when we were planning, my sister and I were giddy with the thought of doing a cruise together (this was her first) and as sisters do, didn’t think twice about sharing a room. And as Zombie wasn’t able to join us, I happily said yes. Cruising has become popular over the years and there are many cruise companies that depart from Singapore and sail around Asia. Some of them do really short itineraries (like Singapore to Malaysia) and some go as far as China, and even Australia. 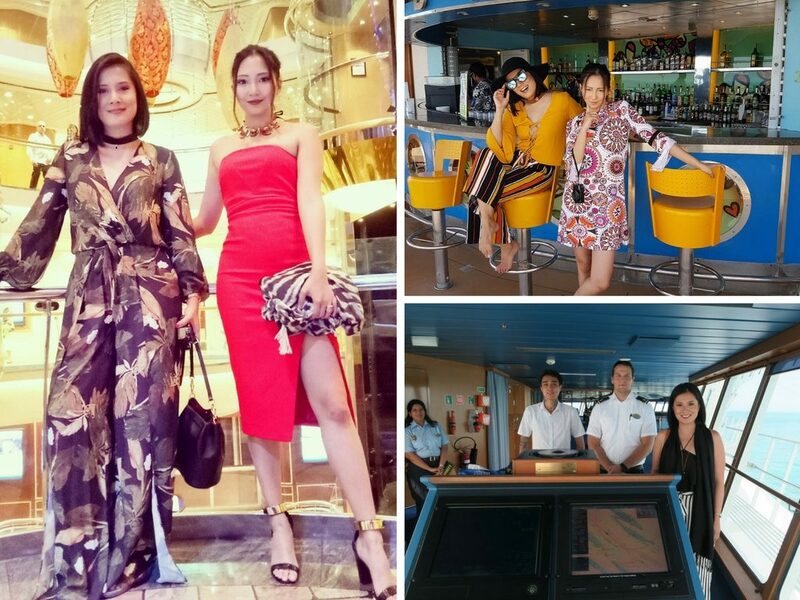 We chose Royal Caribbean as their itineraries offered a good number of sea days (days where you are just sailing) and more importantly, because this particular ship, the Mariner of the Seas is one of the larger ships to cruise around Asia. The Mariner of the Seas used to be based around Europe (my mom and my aunt were in this exact ship when they did a Mediterranean cruise four years ago), but it is now used for mostly Asian and Asia-Pacific itineraries. 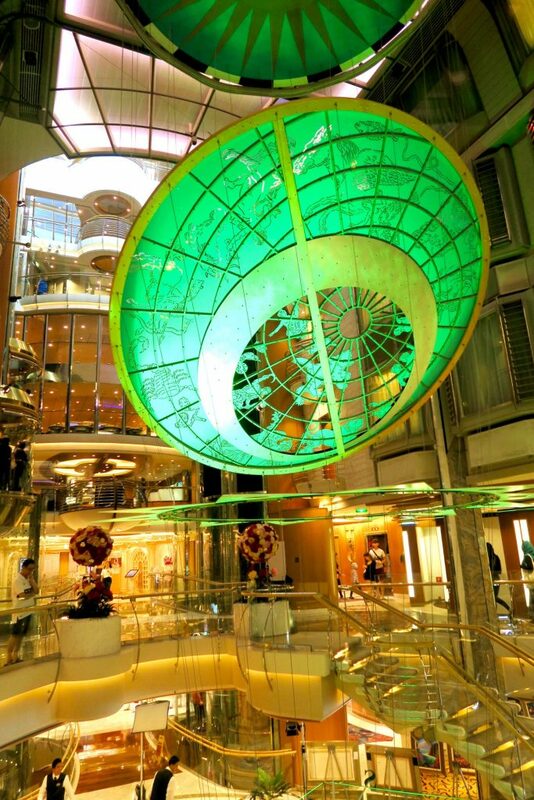 For a 5-day cruise, the Mariner of the Seas is huge. There’s something for everyone from shopping, ice skating, to 24 hour dining. The Mariner of the Seas is not Royal Caribbean’s largest ship but in the 5 days we were there, I don’t think I managed to explore every area and facility. 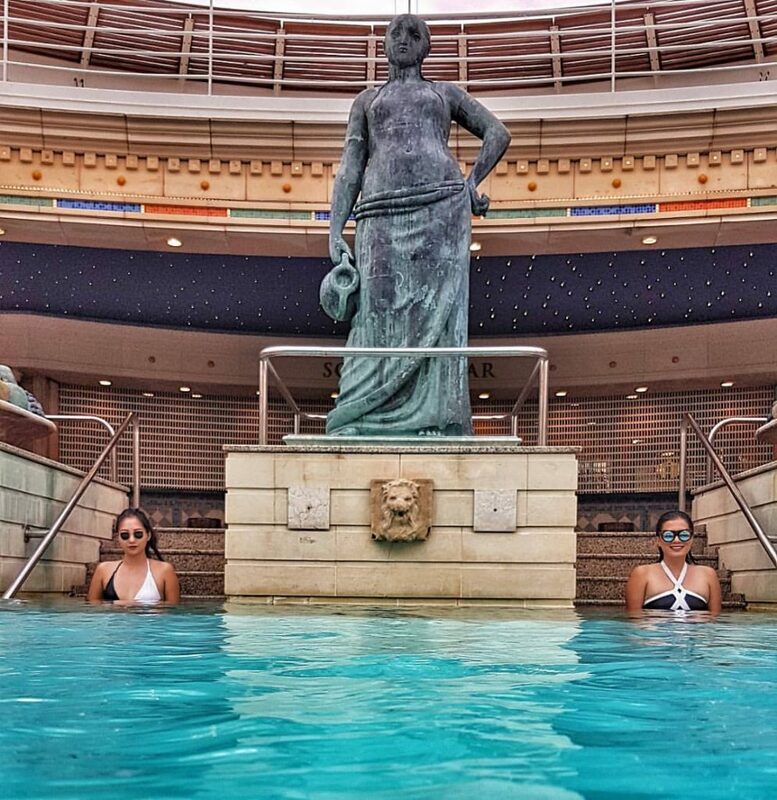 The activities that Royal Caribbean has lined up during sea days (and even excursion days) were an equal mix of relaxation, fun and indulgence, which means there really is something for everyone in our group of 13. The family that does everything together…will eventually go nuts. As everyone had different interests and tastes, we established that during the day, you’re on your own (or your little group / pair / posse) , and we all come together during dinner. We had to get together at least once per day, otherwise what is the point of travelling together, right? A group of 13 proved to be too huge to organise activities within the cruise together. What I found myself doing was arranging mini dates / appointments with various members of my family. 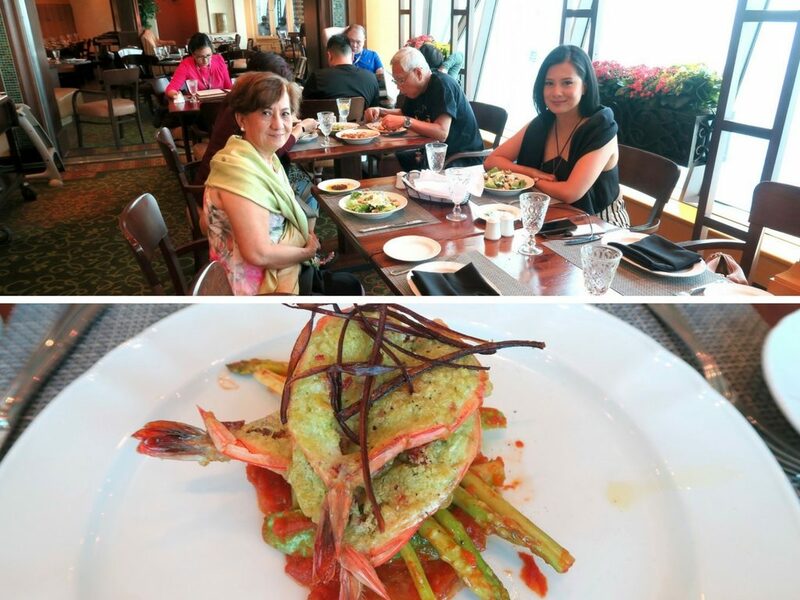 I had a lunch date with my mom one day at Giovanni’s, the Mariner of the Seas’ specialty Italian restaurant, then one afternoon a spa session with one of my cousins, swimming in the pool with my sister one afternoon, etc. Upon check-in, there is an option to choose cash or card payment for your extra charges. You either provide them your credit card details individually, or just pay in cash individually when settling the bill upon check out. This takes away the hassle and awkward situation of splitting the bill. Just be sure to have your sea pass with you at all times! There’s only one excursion day in Phuket in our 5 day cruise. Similar to tip number 4, you don’t need to spend this day all together. There are a lot of tour choices within Phuket. From shopping to snorkelling and island hopping tours (Although please, do not choose the elephant and tiger tours or any animal show tours! ), there’s a tour for every type of traveller. We ended up in 3 separate group tours. 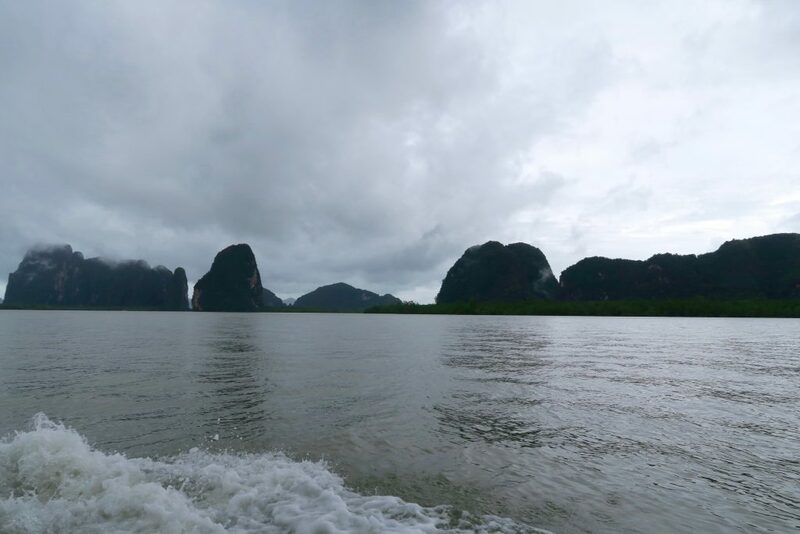 One group did a shopping tour, one group did a panoramic tour of Phuket, and my group did an island tour of Phang Nga bay. At the end of the day, our group joined together and over dinner, exchanged stories, showed each other our photos, and the shoppers showcased their hunt for the day. And finally, just have fun! a 5-day reunion is not without its mini bumps but at the end of the day, we just rolled with it and had fun. When you live away from most of your family and relatives, its best to cherish moments spent together like this. I definitely enjoyed our reunion cruise and I look forward to many more family reunions, crusing or not! 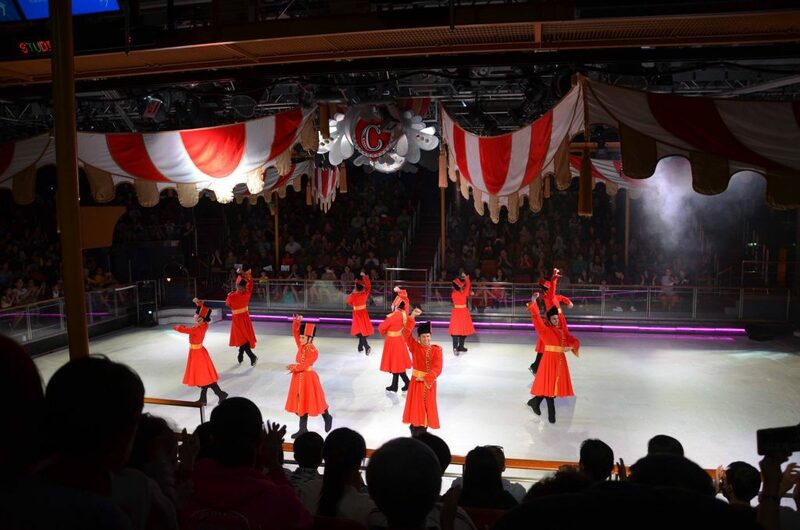 Have you cruised or travelled with a huge group of your family before? How was the experience? We went on a 5 day, 4 night Royal Caribbean Cruise on board the Mariner of the Seas which departed from Singapore - Phuket - Singapore. Wow! Not sure about a cruise for a reunion although my family love reunions. We’ve met up all over, all 30 of us and yes, have ensured to cater for everyone – so from a week of theme park haven in Florida, road-tripping in NZ, Seoul in mid-winter for birthday celebrations to showing off our respective home towns. We’re doing it again in Japan for Cherry Blossom in 2017! 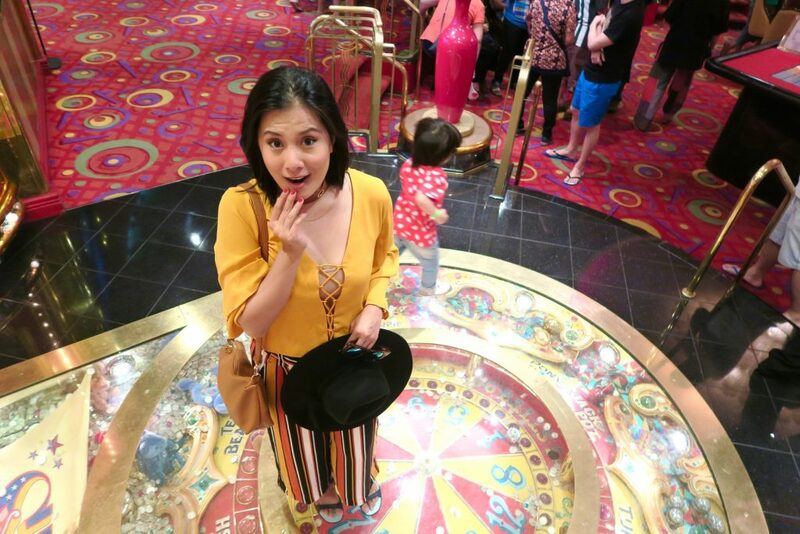 What a fun family trip and with a ship there’s enough room for time alone if you need it (because you definitely need it with family!). I think a cruise is a good solution for a family reunion because there’s the perfect balance of hanging out together and conveniently losing each other when needs must! It looks like everyone had an ace time. I would love to cruise one day, especially if it’s a Disney ship!